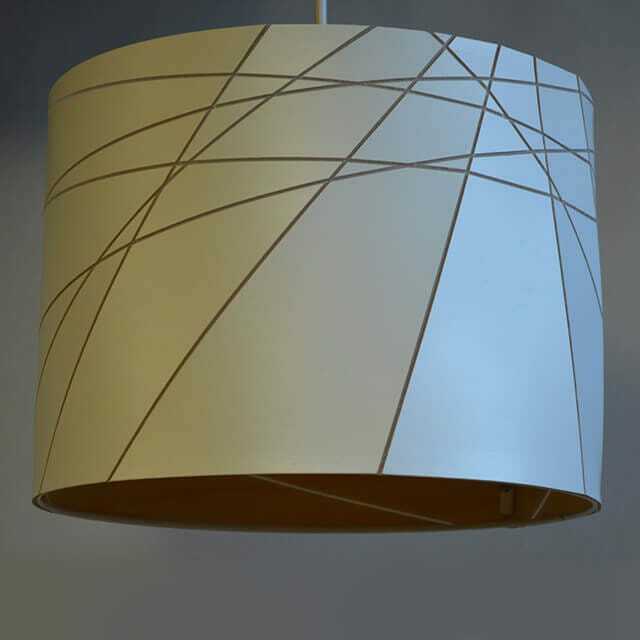 This handmade pendant lampshade features a stylish combination of stark straight lines set against the organic fluid shapes of wood grain. 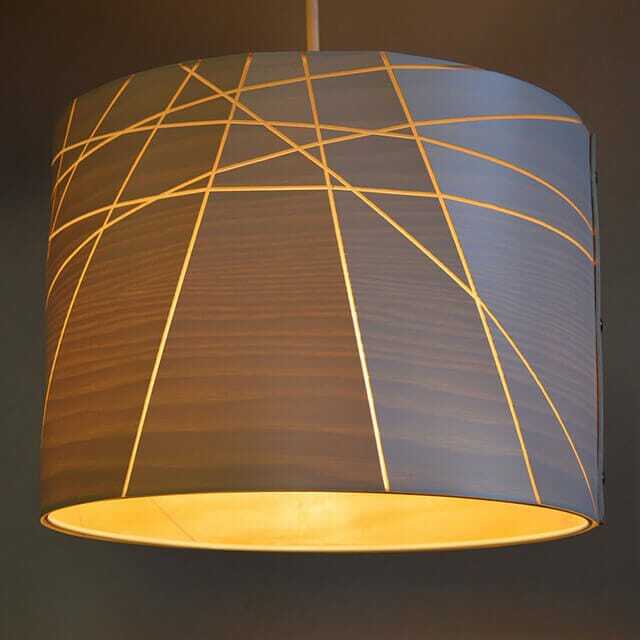 Creating this style involves applying a very thin coat of paint to the veneer, so the wood grain only appears when illuminated. This gives an intriguing result in different kinds of light, when it sometimes appears to be white and at others to be wood grain. 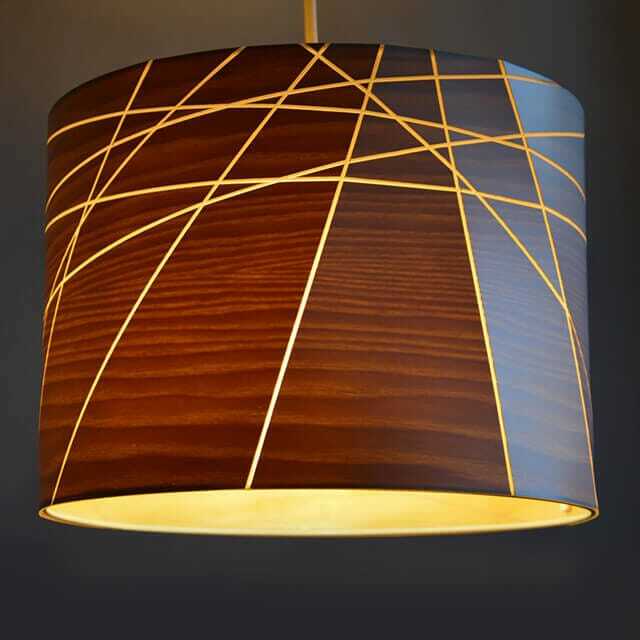 As with some of Joachim’s other lamps, this one is made with real wood veneer GLOgrain composite which transmits a lovely warm glow when the light is switched on.